Mary Tyler Moore shattered the mold of the sitcom. When the series premiered in 1970, nothing on television had been like it. Here were happily single women leading a show filled with complex adults. It was a workplace sitcom about relationships. The characters spoke frankly about modern issues and the Pill — and joked about the death of a clown. There was a planned finale. All of this was groundbreaking stuff, and show's DNA can be found in everything from The Office to Girls. Here are eight fascinating facts about the show. 1) It was initially drubbed by critics. New York Times called the show "preposterous." Others were less kind, believe it or not. TV Guide remarked that Mary was "getting a little desperate" about being unmarried, and labeled Rhoda a "man-crazy klutz." In one of the more positive reviews, The St. Petersberg Times called Mary a "spinster," while Time piled on, deeming the show a "disaster" with "a drunken clown of a news director and a narcissistic nincompoop of an anchorman." Turns out, there were spectacularly wrong. 2) The live audience loathed the pilot, too. At the taping, the live studio audience hardly made a peep — with some even leaving halfway through the performance. In a poll taken afterwards, the crowd expressed their hatred of Rhoda, Phyllis and Lou. This was something totally new to them. 3) It had an unprecedented number of female writers. the Writer's Guild claimed approximately 3,000 members and only 411 were women. One of the key writers, Susan Silver, was profiled under the headline "The Writer Wears Hot Pants." Sure enough, she was sporting hot pants in the photo. 4) Costume designer Leslie Hall dressed Mary in clothes any woman could buy. Hall was another revolutionary. The fashionista had previously worked as a costume designer on the super chic Get Smart. For Mary's realistic wardrobe, Hall would source clothing from one single retailer. This way, Mary could mix, match and reuse separates that any woman watching could go out and actually purchase. In what could be considered early, albeit subtle, product placement, Hall made a deal with Evan-Picone (a fashion line owned by Revlon) to dress Mary head to toe. Mary at times also wore Norman Todd. At tapings, Hall would field questions from the audience about Mary's wardrobe for upwards of 20 to 30 minutes. 5) Originally, Mary Richards was envisioned to be divorced. The network nixed the idea, as an executive infamously noted, "Our research says American audiences won’t tolerate divorce in a lead of a series any more than they will tolerate Jews, people with mustaches, and people who live in New York." 6) The theme song writer was in Buddy Holly's band and also wrote "I Fought the Law." It's hard to imagine Mary Tyler Moore without Sonny Curtis' wonderful song "Love Is All Around." The picker-upper opened the show with the encouraging, "You're gonna make it after all!" It still makes us tingle. Curtis had already made it. The guitarist led Buddy Holly's band, the Crickets, filling in for the rock icon on vocals after his death. Curtis, who was boyhood friends with Holly in Texas, wrote the classic "I Fought the Law," which the Clash would later turned into a punk anthem. 7) 30 Rock is essentially a tribute to Mary Tyler Moore. It's no secret that Tina Fey took profound influence from Mary, to the point that her television workplace sitcom 30 Rock can almost be viewed as a reboot of the concept. The characters are uncanny parallels. Fey's Liz Lemon is Mary, of course. The other mirrors include Lou Grant/Jack Donaghy, Ted Baxter/Tracy Jordan, Murray Slaughter/Pete Hornberger and Sue Ann Nivens/Jenna Maroney. 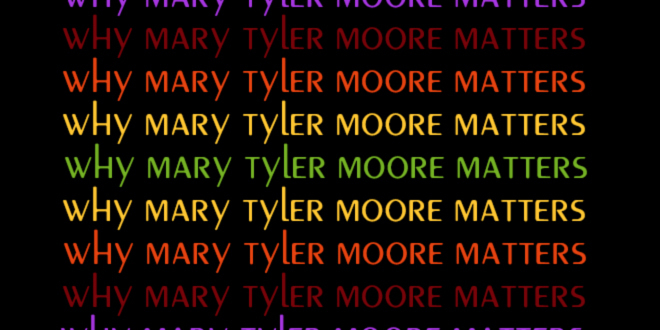 It has been pointed out as well that the final season of 30 Rock echoed that of Mary Tyler Moore. 8) The Minneapolis house that served as Mary's home used politics to scare away fans. Producers used an exterior shot of a house at 2104 Kenwood Parkway in southwest Minneapolis as Mary and Rhoda's abode. The home began to draw the attention of fans and cameras. To discourage photos of their house, the homeowners placed an "Impeach Nixon" sign in a window. Fortunately, today, eager fans can visit a statue of Mary tossing her hat at the Nicollet Mall in downtown Minneapolis.